Petscop 20 was uploaded today... Holy crap, guys! 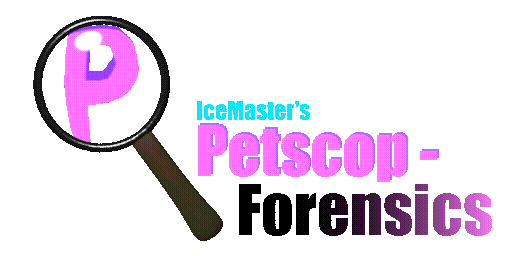 Petscop 21 was uploaded today. I'm floored. The original Petscop video's description was updated with the text of "the note", as YouTube has officially deprecated video annotations. Currently hunting for hidden content. (For yesterday), YouTube channel icon was changed to a dark image of the Frozen House's garage, description was changed to "Recordings of a video game." "Update for 6/27: Paul is OK. His work is bearing fruit, and there will be a public compilation video of his "Attempts". He appreciates that people care about him so much." April Fools Joke: the ' :) ' emoticon on Petscop YouTube channel's 'About' section was changed to ' :( ' for thirty minutes. The purpose of this YouTube channel is to preserve and display the recordings within the video game "Petscop" while keeping some of their content private. They were first given to us as a Christmas gift, many years ago. The game had an interesting journey, before and after that day. Paul created some additional recordings in 2017 as a way to show Petscop gameplay to his friend. He created this account in order to upload those additional recordings in video format. He later passed ownership of the channel to us, but continued to record himself at our strong suggestion. Though he had issues with the arrangement, these have finally been settled. "Rainer" gave this gift to us on Christmas 1997 and 2000. It was the single longest day of our lives. We were all certain he was dead at the time. He had been missing since June 1997 and 2000. We're not as concerned about these things now. For now, there is nothing to do. We are waiting patiently for Paul! When the time comes, we will turn on the light.